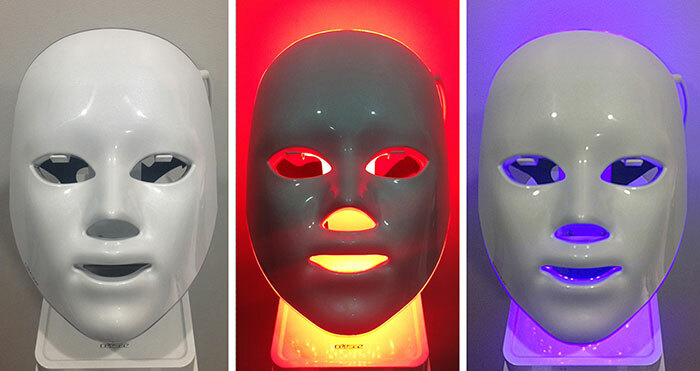 New to our clinic, the LED Mask by Deesse emits 3 types of LED beams and is superior for post care after laser, needling, peels and microdermabrasions. Being gentle, painless, non-invasive and extremely effective, it increases blood flow, promotes wound healing, stimulates collagen and elastin production and helps with pain relief. It can also be used to treat mild to moderate acne and for post treatment pain relief. The blue light can also has fantastic anti-bacterial healing effects. There are three different modes on the DEESSE Mask. Mode1 is for postcare, skin rejuvenation, brightening and pigmentation. Mode2 is for acne and antimicrobial effect. Mode3 is for wound healing, skin rejuvenation and blood circulation. Safe for all ages and daily use. Acne treatment – It can be used for various degrees of acne using antimicrobial beams. Photorejuventaion – General skin rejuvenation such as skin whitening. Pre-Post care of fractional laser for scar regeneration – Before and after having laser use LED treatment for a week, skin is ablated. It reduces recovery time and minimizes side effect such as PIH and redness. Relax and regenerate skin after IPL – Same principle as fractional laser, skin redness is dramatically reduced. When having side effects such as blistering, LED reduces PIH and minimize side effects. Diminishing of edema and swelling – Diminishes edema, swelling and fades bruises after surgery and other more invasive treatments. Stimulating blood circulation – After Botox and Filler, LED gives natural injection effect because of stimulating blood circulation and diminishment swelling. Burn treatment after IPL or other laser. Skin regeneration after chemical peeling. Ensures ease of difficult treatments.